The Midnight Mission, in its efforts to provide a bridge back to productive living, needs talented, dedicated professionals to execute programs and deliver services to our guests and program participants. We offer a competitive compensation and benefits package, a good work environment and an organization comprised of people who care about people.Here are the positions currently open. If you do not see a posting for your job, go ahead and submit your resume and we will keep it on file. We offer a competitive compensation and benefits package, a good work environment and an organization comprised of people who care about people. 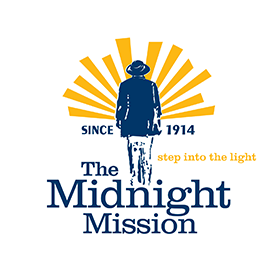 The Midnight Mission is a 501.c.3 non-profit organization that prides itself on being an Equal Opportunity Employer. All regular full time positions are eligible for health and dental coverage, life insurance, retirement plan, paid sick leave, holidays and vacation leave. For available positions, please click here.